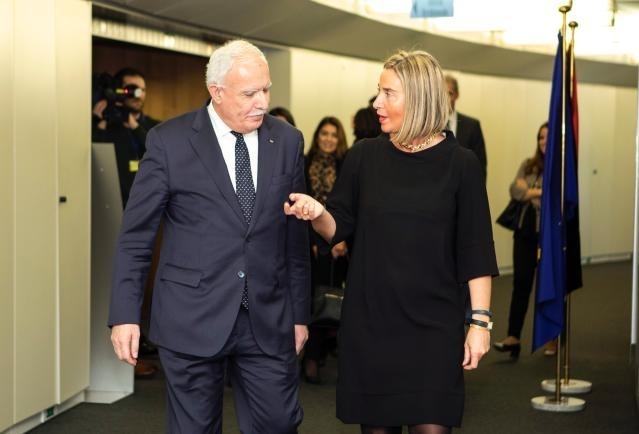 Federica Mogherini, High Representative for Foreign Affairs and Security Policy of the European Union/Vice-President of the European Commission, met yesterday in Brussels with the Palestinian Minister of Foreign Affairs and Expatriates, Dr Riyad Al Malki. High Representative Mogherini reiterated the EU’s continued support to the Palestinians and to the UN Relief and Works Agency for Palestine Refugees in the Near East (UNRWA). She stressed the unwavering commitment of the EU to a negotiated two-state solution as the only viable and realistic way to end the Israeli-Palestinian conflict.